In the past for the LGBT group, we have hosted various events. Some involving members from NUS LGBT committee. Firstly we had the NUS LGBT commitee in to speak to the groups on all campuses about the struture of liberation within NUS Scotland and how they could become involved. We had students from the LGBT groups organise and deliver there own stall for other students for Transgender Day of Remembrance. 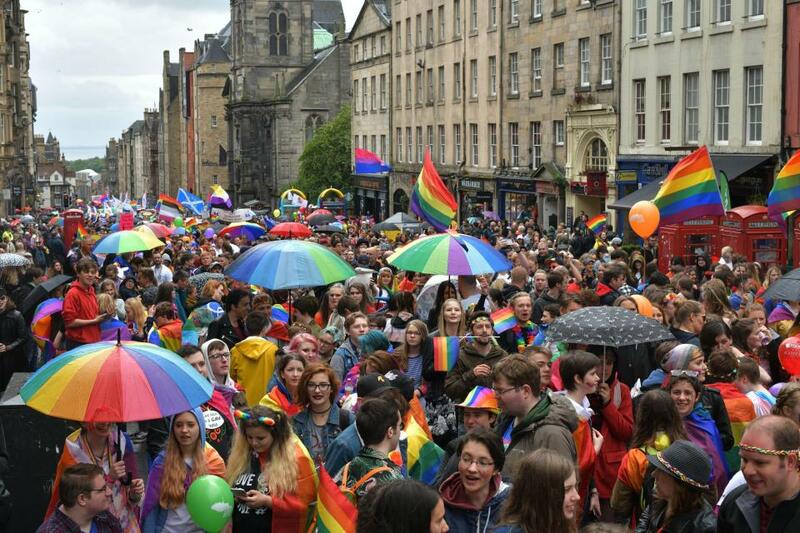 Some students participated in Edinburgh Pride and represented the college LGBT groups on the day. Along with this we also highlighted LGBT History Month and ran events for Purple Friday. More recently, we've delivered presentations to students about what an Edinburgh College LGBT group will look like and gathering students feedback on what they'd like to see. We will be looking to highlight national awareness days again and would love for students to be involved within the planning and delivery of these.